Late last month, we announced Marquee Las Vegas’s amazing residency list. 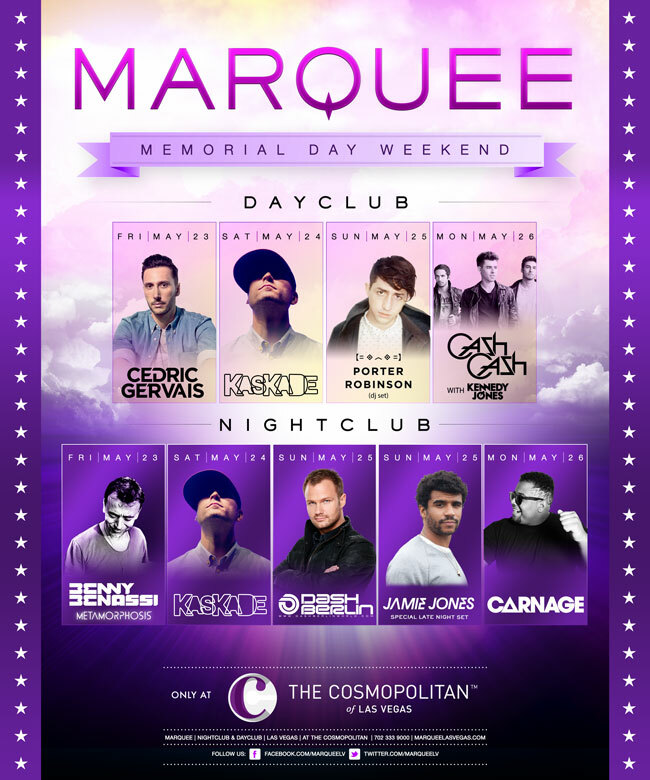 Starting Memorial Day Weekend, they’re going all out with their residents by throwing one helluva Memorial Day Weekend party at both their day and nightclubs. Normally, when you think Memorial Day Weekend, you automatically think of all the festivals taking place – Mysteryland, EDC NY, Lightning in a Bottle, etc. You can add Marquee to that list. For Memorial Day Weekend, they’re bringing Cedric Gervais, Kaskade, Porter Robinson, Cash Cash, Kennedy Jones, Benny Benassi, Kaskade, Dash Berlin, Jamie Jones, and Carnage. That’s highly impressive. 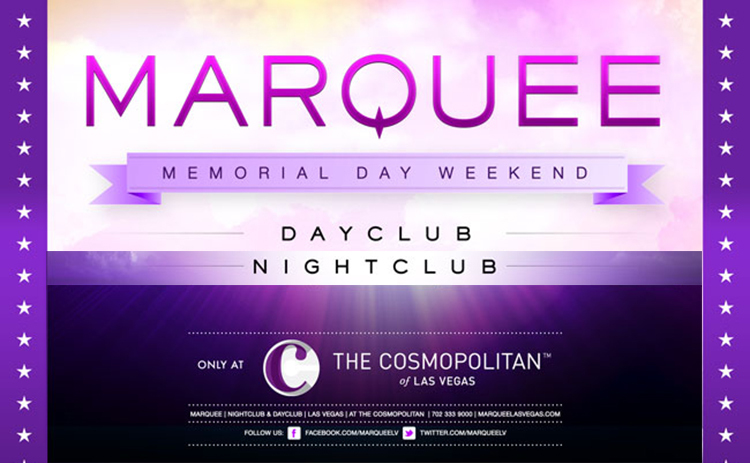 If you are still trying to make plans, don’t count out Marquee Las Vegas!